ABOVE: Belitung is the island on the right - if you zoom in on Google Earth you'll see loads of tin mines. Billitonites were first described by van Dijk in 1879 in an article titled 'Obsidiaan van Billiton'. ABOVE: Belitung island. The grey areas are tin mines. I now have a number of Belitung pages. 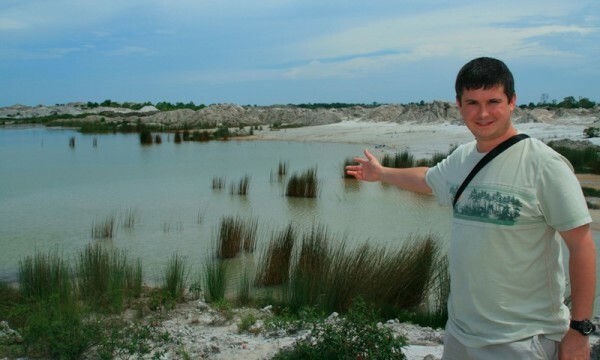 2) Belitung Tin Mines - Details of the tin mines and how tektites are found. 3) Billitonite / Satam Stone / Batu Satam Formation plus some comparitive notes with Philippinites. 4) Photos of my personal collection of Billitonites from this trip. 5) Analyses of soil samples from a Belitung tin mine - Belitung Lithologies. I’ve been wanting to acquire some Billitonites, locally known as Batu Satam or Satam Stone, for some time. They differ only slightly from Philippinites and I wanted to see these differences. The prices quoted on the internet by dealers and on ebay seemed to be excessive. On October 31, 2008 I travelled, from my home in Manila, to Jakarta with my wife Tere. Our flight was in the evening and we arrived at the international Terminal 2 at midnight. My wife is Filipino and so she could go straight to immigration. I am British so had to pay US$10 for a 7 day visa (US$30 for a month visa), which can be acquired at Jakarta Airport on arrival. I withdrew some Indonesian Rupaih from a cashpoint and exchanged some US dollars for a little more local currency. 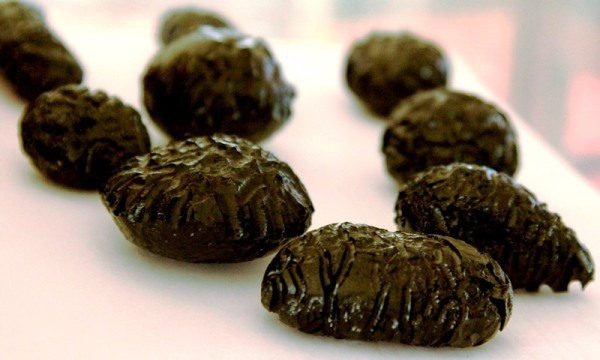 My plan was to buy tektites in US dollars though (some dealers preferred Rupaih, but all accepted dollar). At the time of writing (Nov 2008) there were roughly 10,000 rupaih to 1 US dollar (Just remove 4 zeros for the price in US dollars). We were tired and so opted to stay at the Airport Hotel. This cost US$125. Many taxi drivers busied themselves trying to rip you off and take you to other hotels at inflated prices. ABOVE: Motorcycles are popular in Indonesia! Our flight the next morning was on Sriwijaya Air at 06:20 hrs and cost around US$115 each, but prices will vary a lot. Linus Air also flies to Belitung. The flight was not that busy and we could have probably bought a ticket on the day. 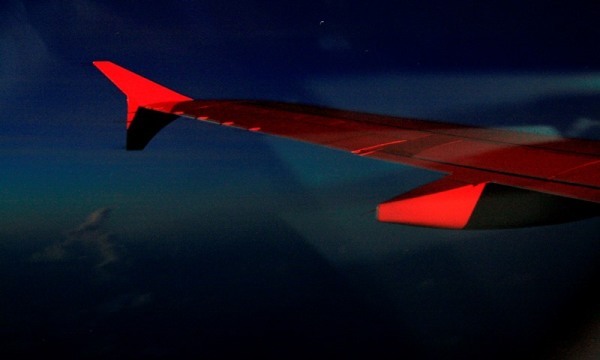 Flights get busy during times such as Ramadan and Eid and also the June-July School holidays. You cannot buy tickets direct from the airline online. We didn’t want to risk not getting a flight, as we had limited time, so I used www.indotravel.com to facilitate my booking, paying by Paypal. They were extremely efficient and come recommended. 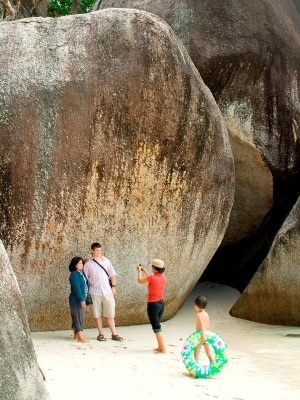 Another agent is our guide in Belitung – Djuni Susanto, also known as Ayung. He will also happily make a booking for you – telephone 0878 8073 8899 / 0813 7351 2289 (The Indonesian country code is +62). So, having made an advance booking and got a whooping 3 hours sleep at the Airport Hotel we got in a taxi and proceeded to the domestic Terminal 1. Here there are many airline offices. We went to the Sriwajaya Air office and picked up our ticket. At 06:20 we flew to Belitung. The plane was old, but it was a Boeing jet and not propeller. Belitung Airport buildings were undergoing renovation, so it was all a bit random waiting in this building site. Initially we had problems in that I speak only English and my wife only English and Filipino dialects. Everyone assumed my wife spoke Indonesian as she looked Indonesian – this proved difficult for her when people spoke to her and she looked back blankly, but amused me! She did not help herself as she tried to dress modestly because Indonesia is 90% Muslim – she really fitted in! 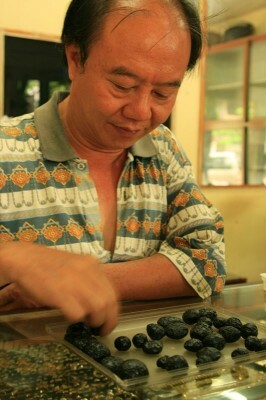 Eventually we were introduced to a man called Ayung who has a number of ventures in Manggar with his family Agen Afat. They had a hotel/restaurant, travel/flight agents and taxi service. His English was good, and whilst not everything was understood, we got by fine. He was kind enough to drive us around and give us local knowledge. His services and vehicle cost us $140 for two days plus a $40 tip. I am sure you can get cheaper but he was more than worth the money we paid him! We immediately proceeded from Tanjungpandan Airport in West Belitung to the town of Manggar in East Belitung. This was about 70km away and a one hour drive. In Manggar we stayed in a nice hotel called Nusa Indah II (Full name Peraturan Hotel and Restaurant, Nusa Indah II, Mangar, Belitung, Tel +62 (0)719 91423, Fax number the same). Rooms were from $35. We paid $50 and had a nice clean room on the 3rd floor. I believe the only resort hotel is in West Belitung and called Lorin Belitung. Nearby beaches are nice, but the place looks like a load of concrete bunkers (why don’t they paint them to make them look nice?!). Now settled in, we then crossed the road and ate at Ayung’s hotel. The food was excellent. We then visited the first Jewellery store, one I had been recommended by a contact on the internet. The first store was called Toko Mas Malia in Manggar. 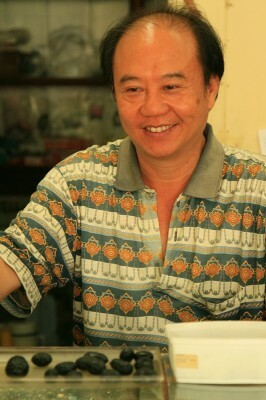 The store was run by Mr Tjeuw Budianto. 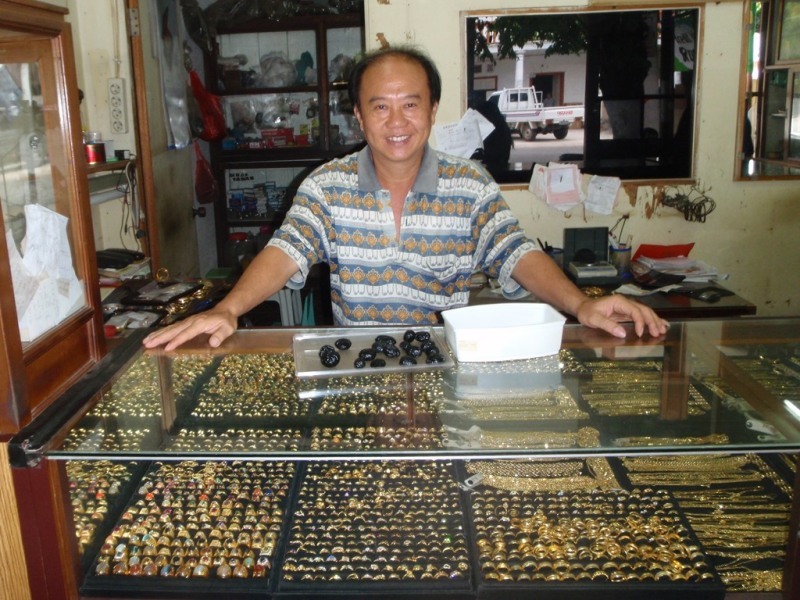 He was very friendly and we were wowed by some of his amazing tektite jewellery. I viewed his collection. It comprised some nice average material, but nothing amazing. A big collector from the Czech Republic had passed through only recently. Also the ebay seller and Indonesian tektite website proprietor had also passed through here at some point (remember those $300 ‘Bellitonites’ [sic]). Mr Budianto assured me that this was new material, only recently brought in and coming from a place called Tebrong, East Belitung. The price was a little high and so rather than buying everything I just selected the best pieces. In the end I maybe took three quarters of what he had. I bought 497.3g for $640 ($1.29/g). 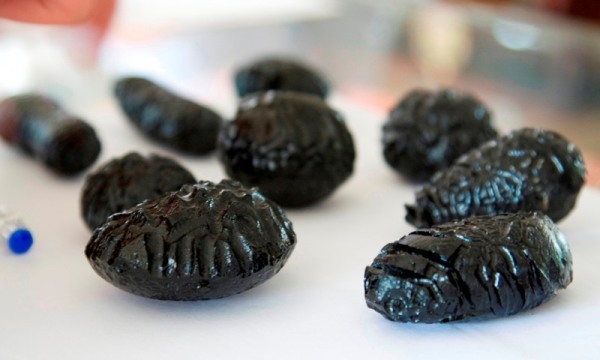 Interestingly in Indonesia tektites are not sold by weight, simply by rough size and shape/attractiveness. Mr Budianto’s rings and jewellery were great. 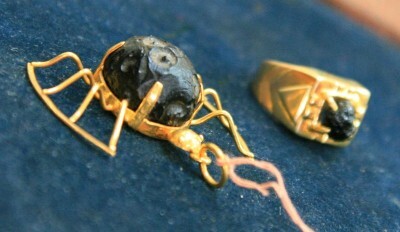 The tektite rings fitted perfectly – they were destine for me! I bought one ring for $232 and a spider/tektite pendant for $135. Mr Budianto was then very kind in showing us the tin mines and his tin operations. We learnt a great deal about how the tektites are found and sold. In fact this whole tin mining operation, with tektites being a by-product was worthy of a separate page. Billitonites are found in the extensive legal and illegal tin mines of Belitung. The alluvial tin deposits are related to the Middle Triassic granite batholith. 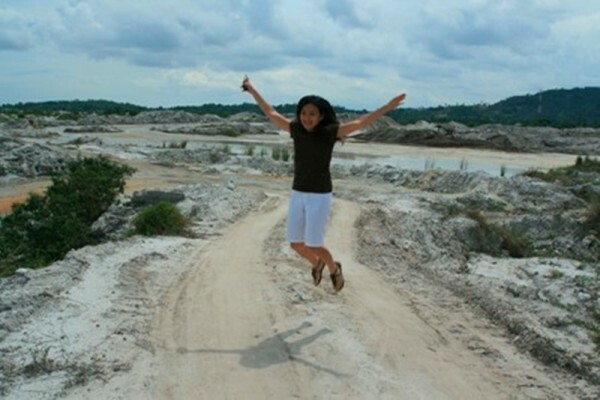 ABOVE: My wife, Tere, jumping for joy because she is in a tin mine! 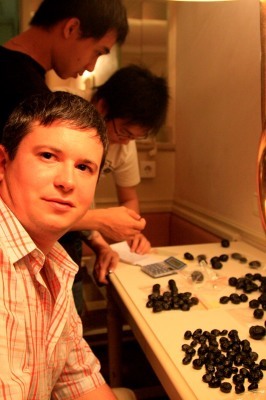 Credit to Tere for many of the photos and also for tolerating my tektite collecting habits! AVOVE: After this detour we visited a beach and a scenic spot before continuing with the task in hand – buying tektites or Satam Stone! It's granite below btw and this is near Manggar. The next shop in Manggar that we visited was a place called Suwarna, Baru. The couple running this shop spoke Chinese. They were a lovely couple and we had a great time looking at the tektites. Ayung was kind enough to translate for us. The material was nice and was different to some of the material seen in the Toko Mas Malia shop. More of this material comprised deeply etched forms with projections, commonly without a clear shape. I loved the small pieces and bought most of these. Again I selected the best (which was most of what he had). I paid 5 million Rupaih ($500) for 363.7 g ($1.38/g). The price was higher as I bought more minute 0.5-2g specimens. This store sold, on average, the best quality specimens I saw. After completing this purchase the proprietor went in his safe and pulled out a few larger specimens (later deciding not to sell one of them). He wanted $100 each for these and I bought the two he was willing to sell. After more coaxing he revealed more specimens from his safe. Wow! Some of these were amazing. I asked him to sell these to me, but he was very reluctant. There were two top quality specimens. One dumbbell and one biscuit-form. The biscuit-form was the best of the two and had been in his collection for 20 years, having been passed it by his father in-law. I thought $400 was a fair price and offered $300, quickly raising this to $400. He wanted $500 though and this is what I gave him before he could change his mind! The very nice dumbbell went back into the safe. He was unwilling to sell this to me, regardless of price! I went back the next day, all the shops are shut on Sunday (open the rest of the week), but we banged on the door. Still not selling, but I left my card in the hope he’ll sell in the future. So, the larger $100 specimens weighed in at 50.7g and 86.4 g, which equals $1.40/g. The $500 specimen weighed 96.2 g and I paid $5.20/g. ABOVE: I would have loved to have bought all of these, but they were not all for sale! With reference to the bottom left photo, I purchased the bottom left dumbbell, bottom right large biscuit and middle (biggest) sphere. Next we visited the final store in Manggar for the day. This store was called Toko Mas Lie Kim (Jl. Sudirman No. 53). Toko Mas means 'Gold Shop' in Indonesian. 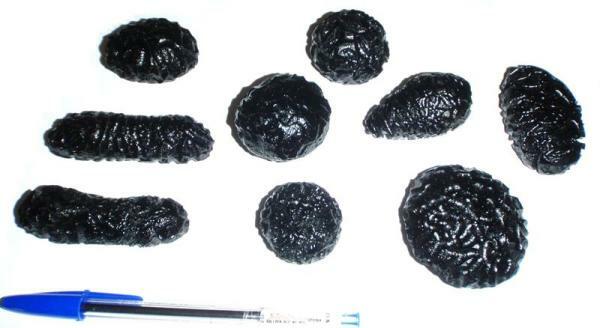 They had numerous average tektites / Satam Stone. After the last store I was after the best, but no top quality specimens were found here. They did, however, have some good average specimens at a very good price. I selected 376.1 g and paid $300 for these ($0.80/g). Nothing special, but they added to the collection. In this shop they spoke good English and we had fun as I tried to barter down! 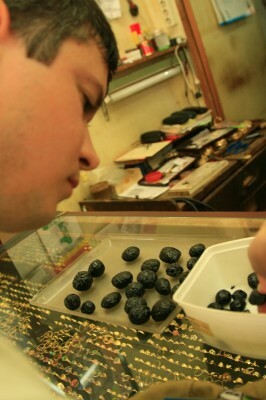 Most of the tektites for sale are found in Jewellery shops. This demonstrates their value, which is directly linked to their rarity. With the day at a close we retired early to the hotel. We were so tired we even slept through the bad Karaoke coming from the lower floors or across the road. The next day we left the hotel at around 10 am. I had promised my wife a day of photography. Instead we headed back to the Suwarna store, where he still wouldn’t sell me the dumbbell. Ten out of ten for trying though. We then headed back to the tin mine that Mr Budianto had shown us. I wanted to collect some rock samples for analysis. As luck would have it we met a tin panner and got to see someone actually panning the tin from the sand. It was a great photo opportunity (I kept my promise to my wife….). Next we headed to our guide Ayung’s uncle’s house in Gantung. His Uncle was called Kevin Buntoro and he had acquired about a kilo of Satam stone roughly 5 years ago when he had a store. The family was very kind, offering us cake and bread and drinks. 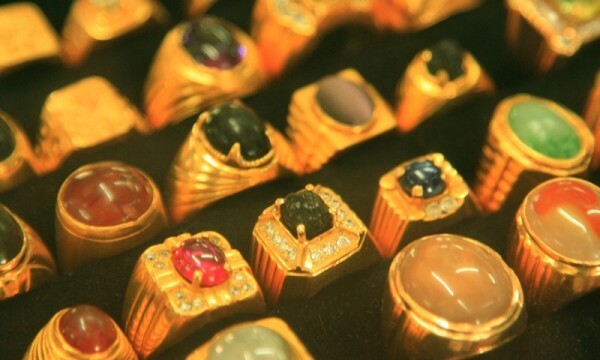 Kevin asked a very high price for his Satam Stone, taking inflation into account. His prices were some five times higher than the jewellery stores. With negotiation the price was reduced, but still remained expensive. I bought only 9 selected specimens at this price. I paid $300 for 189.6g ($1.58/g). 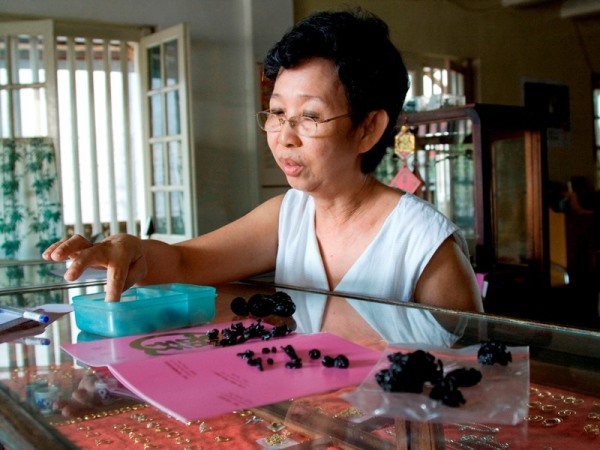 This deal concluded the tektite buying in Belitung. ABOVE: In the top photo, left to right, Me (Aubrey Whymark), Kevin Buntoro and our guide Ayung. We then proceeded to the Tanjungpandan beaches. 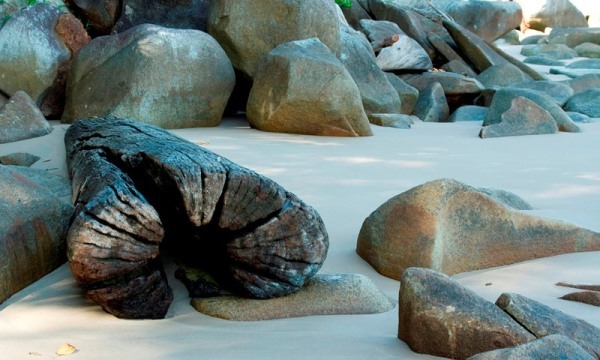 These were beautiful and I loved seeing the granite on the beaches! We ate at a local restaurant where you select your fresh fish and vegetables and they cook it straight away. For under $20 we had a huge meal, good for 4! I would have liked to have seen if Satam Stone was available in Tanjungpandan City, but on Sunday all the stores were closed. I’m 100% sure material would have been found, but I was satisfied that Manggar was a good choice for us as we had achieved our goal. Ayung told us our flight was delayed (which is apparently normal), so we went to the airport late. After a 3.5 hour delay the flight eventually turned up. 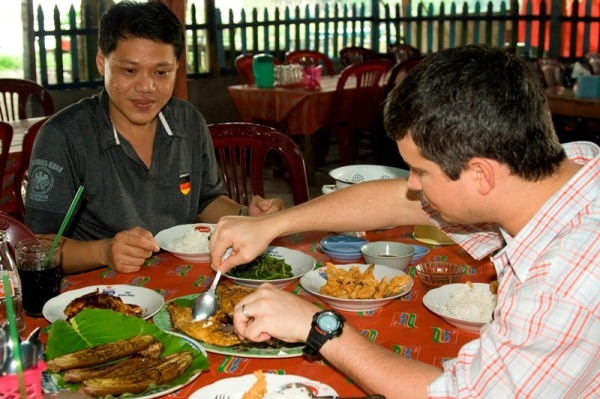 ABOVE: Our guide, Ayung, and me tucking into some great food! ABOVE: I was the main attraction here! We then went direct to our hotel in Jakarta. The hotel was suggested by the Satam dealer I was due to meet. Bad choice…. It wasn’t a great hotel, but it had a bed and the price was only $45 a night. After checking in (and it was 10pm now) we met up with William Budianto (son of Mr Budianto in the Toko Mas Malia store in Manggar), Virdy Feryano (nephew of Mr Budianto) and Meldy Tjeuw (cousin I think). These guys were all in there 20’s, spoke excellent English, and it was a bit of a party! William and Virdy have a showroom in Jakarta (Jl. Pegangsaan Timur No.7, Lt. Dasar Blok B No. 12), but due to our tight schedule we had no time to visit the next morning. They had a large amount of material. Nothing spectacular, but some good honest stones. I ended up purchasing a total of 711.8g for $700 ($0.98/g). I was happy with this fair pricing, nothing exceptional, but a few nice pieces. 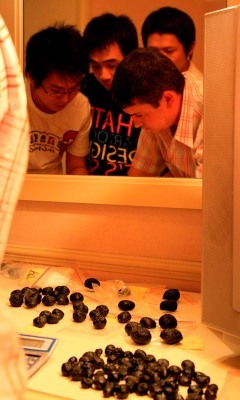 I showed these guys the $500 specimen I bought in the Suwarna store. I didn’t tell them the price, but they said they’d sell it for 5 million Rupaih ($500) if they had it, so all fair in that one. They said they’d never seen one like it though. 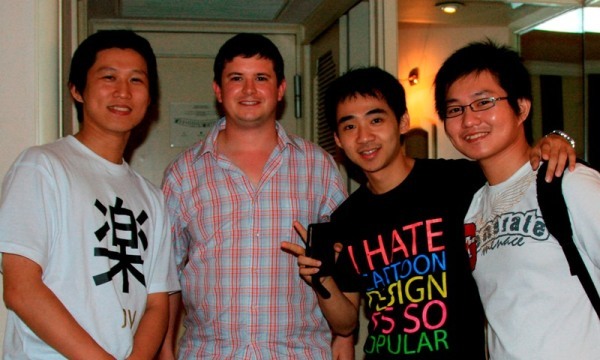 ABOVE: Meldy, me (Aubrey), William and Virdy. They had a lot of Satam Stone! On November 03, 2008 my wife and I left Jakarta and flew back to Manila via Singapore. 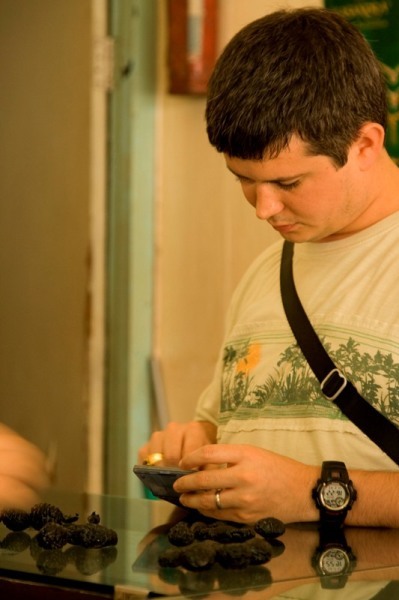 Remember that when you leave there is a 100,000 Rupaih ($10) terminal fee so save some cash. Also there are loads of shops in the airport where you can pick up a souvenir of Indonesia. We had an excellent stay in Indonesia. I found the forceful taxi drivers in Jakarta and the way the taxis are run most unwelcoming. Hopefully they’ll clean up their act in the years to come. Once in Belitung, however, it was all great. The locals were extremely friendly, helpful and kind people. 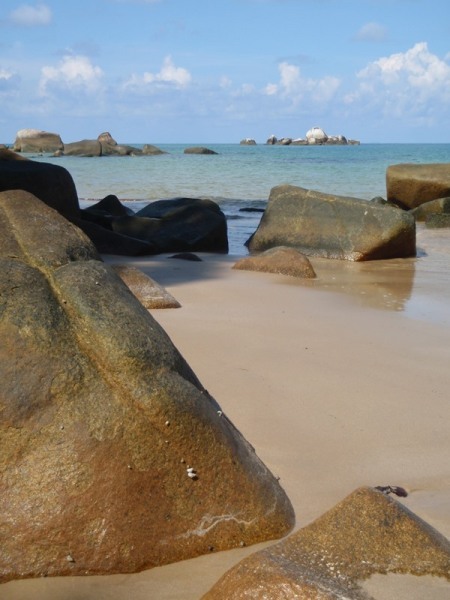 Belitung was very safe and reportedly crime free – we certainly felt at ease. The sites in Belitung were amazing and the food excellent. Restaurants are generally the street type, so not classy, but great food. Also toilets are different to the west. Most are basic and to an Indonesian a thoroughly wet toilet is a clean one – so splash your water around! Hotels are not five star, but are clean, modern and nice with very friendly and helpful staff. If you visit then take insect spray. Mosquito’s are everywhere and despite a good jungle repellent they loved my wife’s blood! They left me alone apart from one bite on the eyelid – bad place! The locals say there is no Malaria and only occasional Dengue fever, so I’m reassured my wife won’t drop dead after tektite hunting! 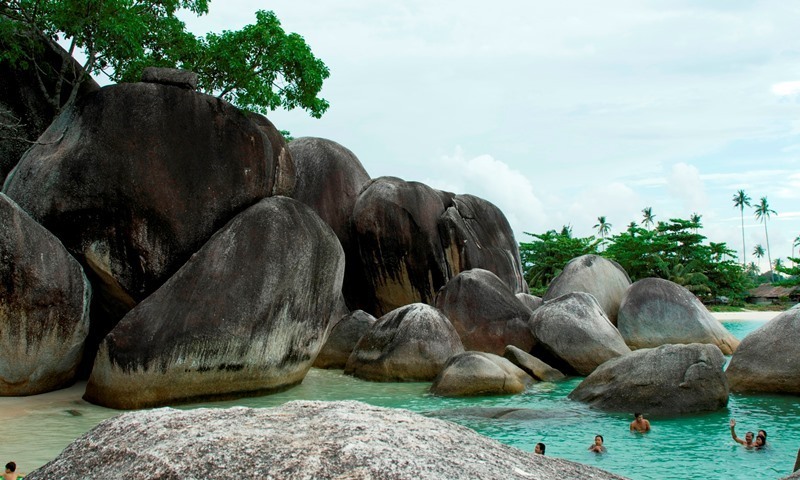 In summary I loved Belitung – it is the island’s people that make the place so wonderful and there are some fine sights to see. Personally I also loved seeing the mines, which are everywhere (legal and illegal). I would have loved to have spent a week or two search for Satam Stone myself in the mines. I hope you enjoyed this guide and maybe a few people will even visit to buy Satam Stone. I know that some people prefer to keep places such as these secret for fear that other people will buy all the good specimens or push up the price. I hope I don’t make enemies in publishing how to go to Belitung. My attitude is that if demand is created then more Satam Stone will be found. 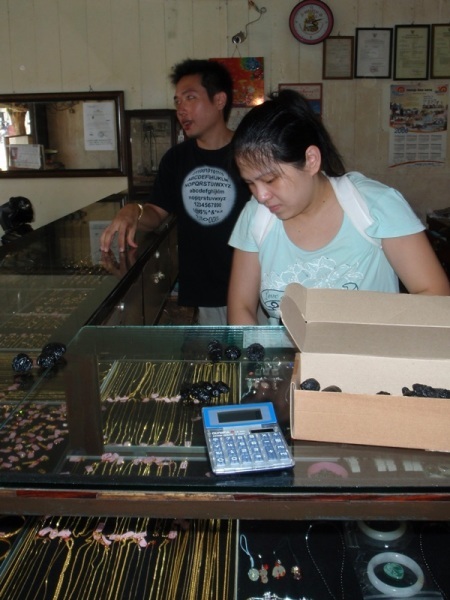 At the moment (2008) the average retail pricing in Indonesia is around US$1.00-1.20 per gram. 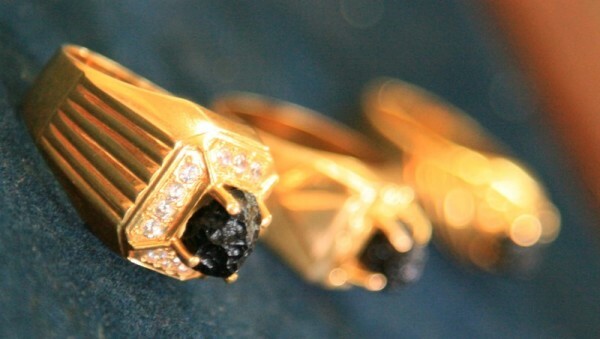 It is a bit variable (US$0.80-1.58/g), largely dependent on quality and exceptional pieces can cost much more. Obviously buying online will cost more, perhaps double, but you judge what you think they are worth as every piece is an individual. If there is demand, rather than being a chance by-product of tin mining, people may actively look for Satam Stone on the many many spoil heaps. I am sure there is a lot more to be recovered if a market is there and it is worthwhile to the finders.